Alicja Rogalska showed a film titled Tear Dealer (11:58), a collaboration with Lucasz Surowiec. The film can be viewed HERE. 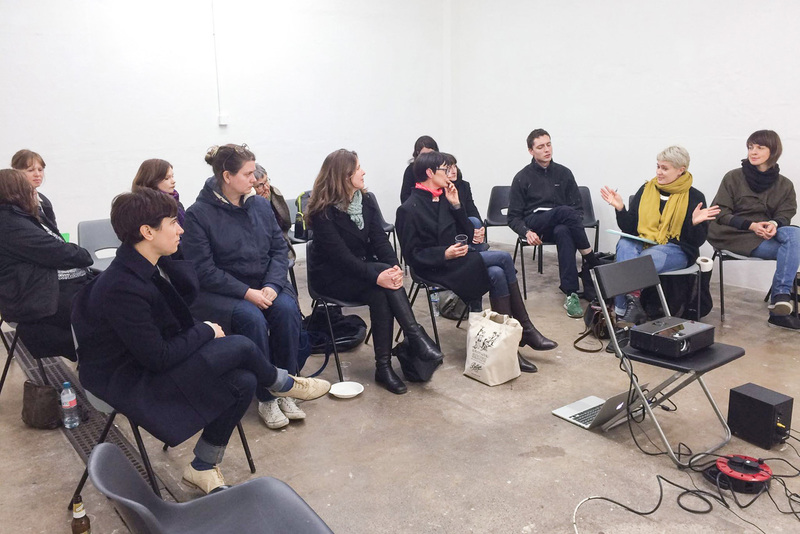 The conversation centred on the use of protagonists in artists' work, and notions of exploitation or waged labour. There was discussion of the film in terms of romanticism and in the context of “emotional labour" (particularly unpaid women's labour). Links were also made to Bas Jan Ader's 1971 film I'm too Sad to Tell You. 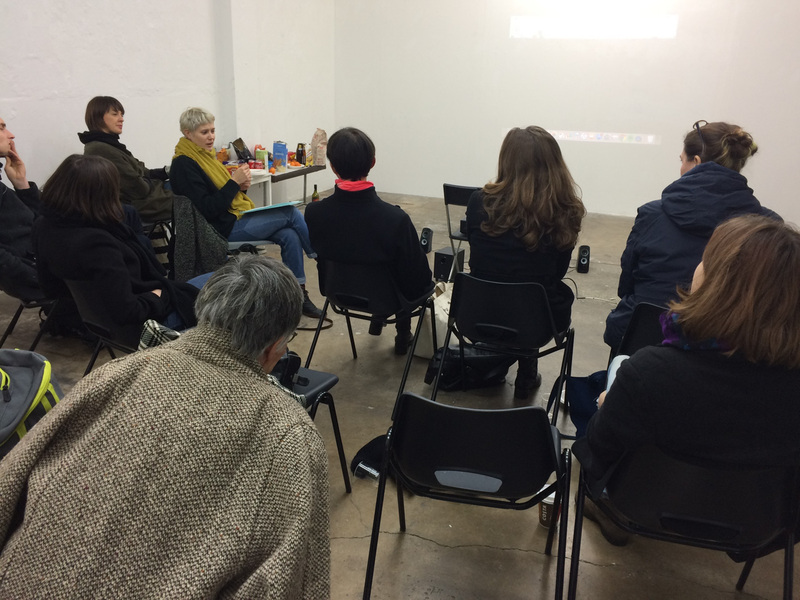 Choterina Freer presented HD video Impatient Voices (12:00), a video featuring 1970s feminist meetings interspersed with contemporary footage, text and CGI. The conversation focussed on the shift in feminist rhetoric from the 1970s to post feminism and how digital technology and rampant consumerism have recent changed feminist positions. There was also discussion of the “our bodies ourselves" campaign in relation to the archive footage of NYC 1970s women's workshops. See stills from the work HERE.